NBC’s “Awake” doesn’t premiere until March 1 at 10/9, but the network has already brought the full first episode online for you to watch below. 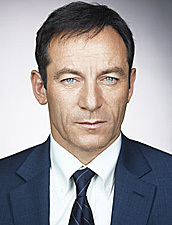 “Awake” is an intriguing drama about a detective (Jason Isaacs, “Harry Potter,” “Brotherhood”) who finds he is leading an arduous double life that defies reality. Following a tragic car accident, detective Michael Britten finds himself awake in two separate realities: one where his teen son, Rex (Dylan Minnette, “Saving Grace”), died in the crash and his wife, Hannah (Laura Allen, “Terriers”), survived and another where Hannah has perished, leaving Michael and Rex to pick up the pieces. In order to keep both of his loved ones alive, Michael begins living in two dueling realities, churning up confusion. In one reality, Michael and his wife debate having another child, while in the other, his son Rex is turning to his tennis coach, Tara (Michaela McManus, “The Vampire Diaries”), to fill the void from the loss of his mother. Trying to regain some normalcy, Michael returns to solving crimes in both worlds with the help of two different partners, Detective Isaiah “Bird” Freeman (Steve Harris, “The Practice”) and Detective Efrem Vega (Wilmer Valderrama, “That ’70s Show”). Michael is assigned a different case in each reality and quickly discovers that his dual existence is actually a powerful tool. He begins to solve impossible cases by using his two realties to gain unique perspectives and link clues that cross over from world to world. Helping Michael to navigate his two realities are his bureau-assigned therapists Dr. Evans (Emmy Award-winner Cherry Jones, “24”) and Dr. Lee (BD Wong, NBC’s “Law & Order: Special Victims Unit”). While both therapists work to untangle his two worlds, Michael has no interest in proving either one is false. But when memories of the accident begin to haunt him, he is forced to confront the truth about what really happened the night of the crash.